The Mountain of Mt. Nasu. Mt. Asahi of Nasu(那須朝日岳) is one of the popular mountain located in Northern Tochigi Prefecture. It is one of Five Mountains of Mt. Nasu. The hight of the mountain is 1,896m from the sea level. Mt. 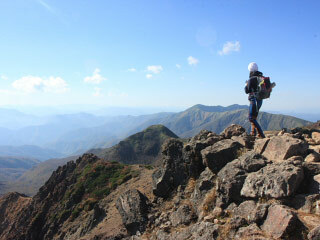 Asahi is one of 5 summit of Mt. Nasu. It is an active volcano. Mt. Asahi is the only summits of Mt. Nasu that has a narrow summit. It has a great view of Mt. Chausu. and other mountains.